Philadelphia’s mayor signed into law this week a measure that prohibits employers in the city from asking job applicants to provide their past salary data, something supporters of the ordinance hope will help reduce the wage gap between men and women. The theory appears to be that if women’s wages currently lag men’s for illegitimate reasons, and if employers base new starting salaries in any significant measure on salary histories (which in turn would be affected by improperly low historical salaries for women), then gender wage discrepancies will be more likely to persist. But if an employer is not able to ask for past salary information, it is less likely to be influenced by (unfairly low, for women) wage track records and instead may be more likely to craft salary offers that simply reflect the likely value new employees will add to the enterprise regardless of their gender. The councilmember who introduced this measure reportedly was inspired by a similar ban enacted by Massachusetts last summer. 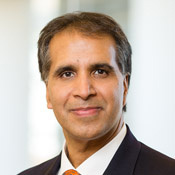 The local chamber of commerce criticized the law, saying it “infringes upon an employer’s ability to gain important information during the hiring process,” and at least one major employer (cable goliath Comcast) threatened to sue to block the new law on the ground that it violates the First Amendment. How strong might any such First Amendment challenge be? It’s hard to speak definitively, especially given that laws banning salary history inquiries are new and unusual and thus may not have generated a great deal of sustained legal analysis and discussion. But in the space below we offer an “issue spotting” assessment, of the kind we might expect our law students to undertake on an exam. At first blush, one might think the ordinance is in trouble, since it is clearly a regulation of expression based on the content of the speech, and content-based speech regulations are subject to “strict” (i.e., rigorous) scrutiny in court. Questions about salary history—a particular topic—are singled out by the ordinance for prohibition even though questions about other topics are permitted. Certainly government could not prohibit folks from asking each other about their salary track records more generally. But the Philadelphia prohibition on salary history questions is not a general ban; it is ban in the context of a hiring process that employers undertake to bring on new employees. As such, it might be viewed as a regulation of expression that is incident to the conduct of hiring employees. Much business conduct—including hiring—is accomplished through speech, but that does not make such business activity immune to regulation. If an employer publicly chastises black but not white employees who have engaged in the same activity, then the employer is guilty of discrimination even though the discriminatory conduct takes the form of selective oral shaming. Certainly government regulates a great deal of speech in business settings. Companies are required to post signs, warnings and disclaimers that they otherwise might prefer not to. Law schools may be required to provide interview space for government employers (like the military) to whom the law schools may have ideological aversions. Employers may be prohibited from saying certain things to employees represented by a labor union. And a labor union may be prohibited from picketing an entity—to make it look bad in the eyes of the public—because that entity is doing business with a firm with which the union is having labor difficulties (a so-called secondary boycott.) And so forth. Nor are employment and labor relations the only business activities that are often conducted through speech. Psychological counselors and many other health care professionals do their jobs largely through conversing with clients. So do many lawyers. And their speech can be significantly regulated. For example, imagine that a lawyer was recommending to his client the use of an illegal drug. Even though such a recommendation would be “protected” by the First Amendment in that the lawyer could not be arrested and jailed for his speech (unless he was inciting his client to imminent unlawful conduct), there is no serious question but that the lawyer could be disciplined by the State Bar (and possibly stripped of his license to practice law) on the basis of his actions. This discipline and disbarment would be completely consistent with the First Amendment. 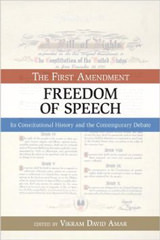 One rejoinder to the invocation of these regulations-of-speech-incident-to-business-conduct cases is that they are reflect special exceptions to free speech protection, and that exceptions grounded on context-specific considerations ought not to swallow the general rule against content-based prohibitions on truthful, non-misleading speech. 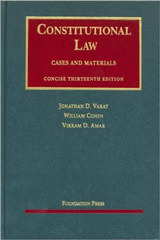 For example, the regulation of lawyer speech may be permitted because lawyers, like counselors and doctors, are part of a regulated profession in which competition is controlled and licenses are required to protect the public interest; if you benefit from the barriers to entry into a profession, so too must you accept some non-censorial regulation of speech for the benefit of clients. 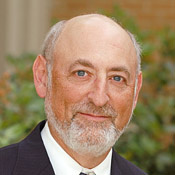 Similarly, the ban on secondary boycotts may be the quid pro quo that unions must accept for being able to be organize and strike under the labor laws; the benefits and burdens that labor law creates are part of an overall package that must be embraced as a whole for the system of collective bargaining to operate effectively and efficiently. 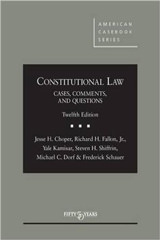 If participants in transactions for a good like alcohol (or tobacco, the subject of other Supreme Court cases) have a First Amendment right to share truthful non-misleading and transaction-relevant information regarding, among other things, the price of the good, why is the same not true for transactions involving labor (rather than goods)? One might try to distinguish these cases from the Philadelphia ordinance on the ground that in those prior cases, government was regulating the seller of a good, whereas Philadelphia is regulating the buyer of a service (an employee’s labor). But could that make a difference? If a state prohibited a consumer from asking an alcohol vender the relative prices (or alcoholic contents) of products that were legal to purchase, could that kind of law be upheld? Another possible distinction is that the alcohol cases involve access to current prices, whereas the Philadelphia measure regulates access to past prices (for someone’s labor). But again, could (or should) that make a difference? Could the government prohibit a car buyer from asking the dealer what the previous year’s model listed for? It’s hard to imagine so. Indeed, not only would government never try to prevent purchasers of goods from asking about past pricing data, oftentimes government requires sellers to affirmatively provide such information, lest sellers exaggerate about the true “discount” they are currently offering on a sales price. In the end, while both of us have the sense that government may continue to have more leeway to regulate the workplace and hiring decisions than it does consumer advertising (where most of the commercial speech cases arise), laws like Philadelphia’s ordinance remind us that the Court’s recent increased protection for commercial speech could potentially cut quite broadly, and raises as many questions as it answers. Chief among those questions—for present purposes—is why goods are so different from services. So although our instinct tells us that laws like Philadelphia’s would probably pass muster in the eyes of most judges, we are not entirely confident of how courts will end up ruling when the inevitable legal challenges proceed.